Behold, the Daxophone! The FUNNIEST Instrument Ever?!? 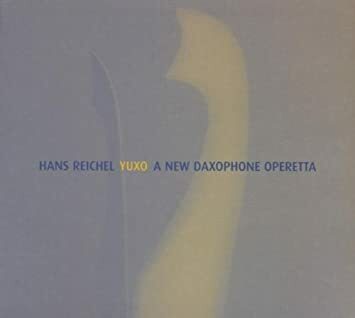 The late, great Hans Reichel gets a lot of props in the modern jazz world for his guitar playing, which is all well and good, but Maniacs should proceed directly to the few recordings he made highlighting his invention, the hand-crafted wooden objects known as Daxophones. Imagine a school kid bending his ruler over his desk making a boing! sound, only played with a violin or cello bow. In the hands of Reichel, a master musician as well as inventor, the Dax is amazingly versatile, capable of all manner of sounds, often with cartoonish undercurrents. 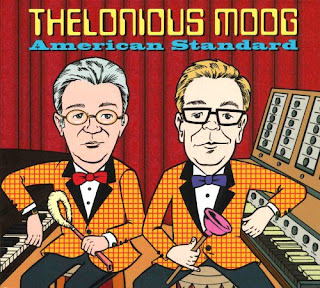 Thelonious Moog - "American Standard"
Thelonious Moog's debut album was, as you might expect, jazz cats playing Mr. Monk on vintage synths. 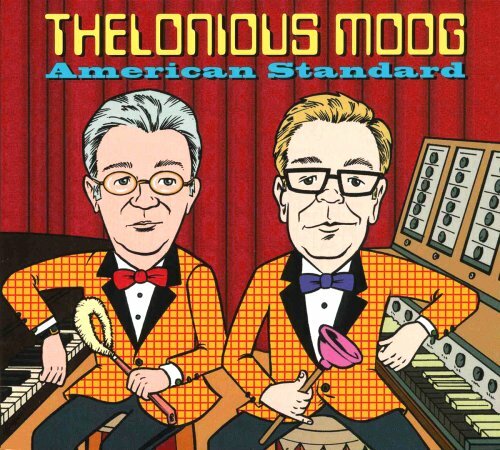 Their 2007 follow-up, "American Standard," ditched the music of their namesake for an unpredictable, irreverent romp ranging from heavy cats like Gershwin, Brubeck, & Zappa, to the EZ kitsch of those thrift-store inevitables "Alley Cat" and Al Hirt's "Java," all getting the same zany Space-Age treatment and some ingenious arrangements. Raymond Scotts' "Powerhouse" is dunked in wacky cartoon sound-effects, Duke Ellington's exotica standard "Caravan" goes surf-rock (+ odd noises) and one of my fave kooky '70s glam classics, "Hocus Pocus" by Focus, gets tackled here twice. All quite silly, but played by pros, and plenty fun - one of the best novelty albums of the '00s. 10.Have U Seen It Yet? Labels: Comedy/Novelty, covers, jazz/improv, Space Age/Moog/Theremin etc. UPDATE: Oops, well, so much for that. By request, "Music For Weirdos Vol 5" is back up.